During half-term one of our Year 7 pupils attended a hockey camp with Rio 2016 gold medal winners Helen and Kate Richardson-Walsh. 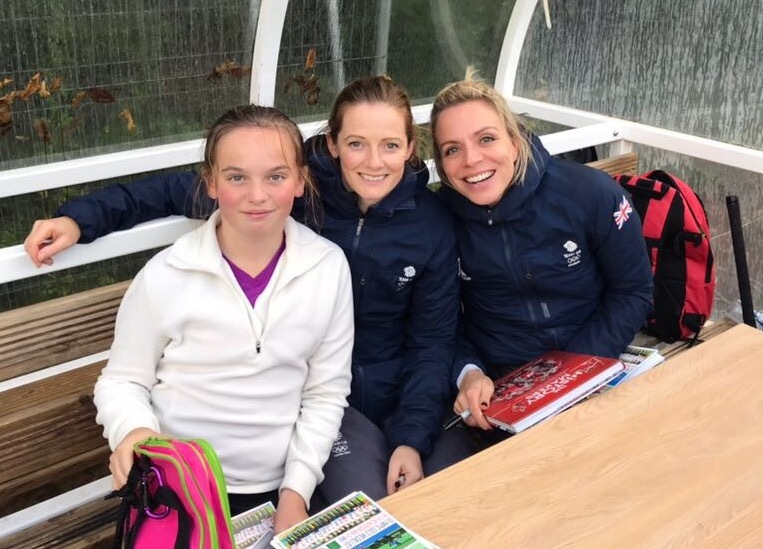 During the one day camp, which was held at the England and GB hockey training centre at Bisham Abbey, Pippa enhanced her stick skills, practised her V-drags and learnt what it takes to be a GB hockey player. She also had the opportunity to have her photo taken with Kate and Helen.